In the field of portable rechargeable batteries for such electronic devices, as cellular phones, personal computers and video cameras, many changes occurred in their respective markets. 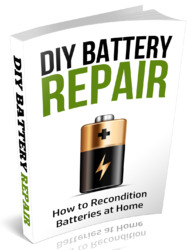 For over 30 years, NiCd batteries have mainly been used as the power source, but NiMH and lithium ion batteries were developed in the early 1990's and, since then, their demand has rapidly increased. For the collection and recycling of portable rechargeable batteries in Japan, both NiCd batteries and the products using NiCd batteries were specified as 1st and 2nd category products by the Law for the Promotion and Utilization of Recyclable Sources issued in June 1993. 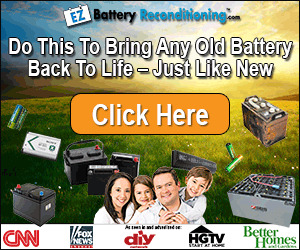 Since then, BAJ began a collection & recycling program of spent NiCd batteries. After that, other portable batteries like NiMH and lithium ion were gradually found in waste landfills. Considering that they contain so much valuable metals and that collection activity of NiCd battery should be further strengthened, BAJ made a decision to start a nationwide voluntary collection and recycling program for all types of portable rechargeable batteries. This began in July 1998. Table 3.1 shows the sales quantities of 3 different batteries. The NiCd battery sales have been gradually decreasing since 1994. On the other hand, sales of NiMH batteries in 1998 amounted to 640 million cells, with an increase ratio of 11%, and sales of lithium ion batteries were 275 million cells, with an increase ratio of 41%, with respect to the previous year. Japanese manufacturers' worldwide sales amounted to 1,503 million cells in 1998. Nearly 80% (1,187 million cells) of them was for export. Table 3.2 shows the export ratio by chemistry in 1998. Although domestic deliveries account for 316 million cells, almost 50% is for re-export as products with the battery included. The export ratios in 1998 are shown in Table 3.3. As for export to Asia, table 3.3 shows 34% for NiCd, 27% for NiMH and 36% for Li-ion. However, approximately 90% of the cells seem to be exported again.